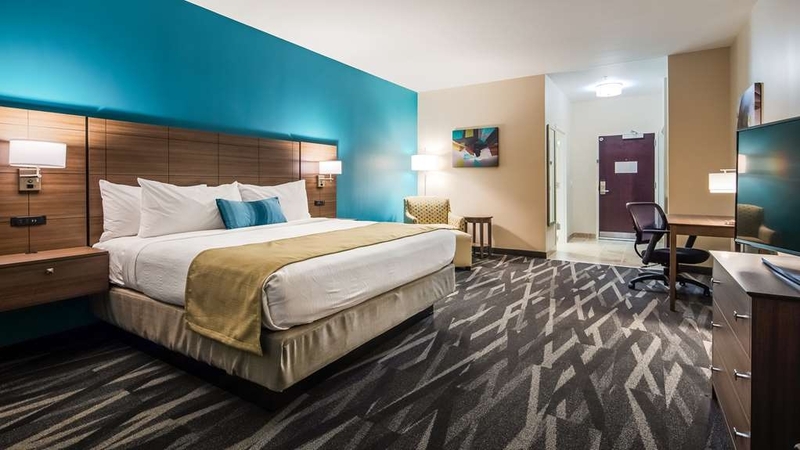 El Best Western Plus Centralia Hotel & Suites se encuentra en el centro de Centralia. Venga y disfrute de las mejores atracciónes turísticas cerca de nuestro hotel. Precios bajos garantizados y ofertas exclusivas. 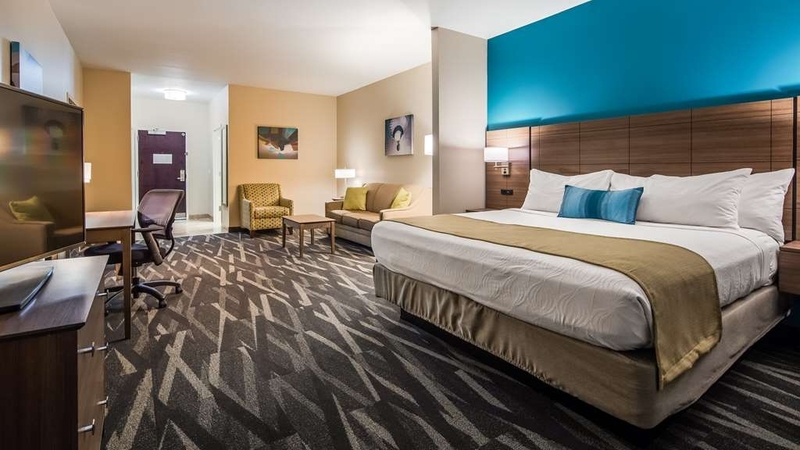 El hotel de nueva construcción Best Western Plus Centralia Hotel & Suites de Centralia, Illinois, ofrece el espacio de alojamiento idóneo para huéspedes en viaje de placer o de negocios por las zonas central o sur de Illinois. Nuestras amplias habitaciones con camas con colchones con acolchado doble, televisores con pantalla LED 43 pulgadas, acceso gratuito a Internet Wi-Fi, nevera en la habitación y cafetera le harán sentir el mayor nivel de comodidad. Comience su día con un desayuno caliente completo gratuito, disfrute de una sesión de ejercicio en nuestro amplio gimnasio equipado o relájese con un baño en nuestra piscina cubierta. Con una excelente ubicación a solo 8 kilómetros del Lago Raccoon y a 27 kilómetros del Lago Carlyle, nuestros huéspedes podrán disfrutar de una gran variedad de actividades al aire libre entre las que se incluyen caza, pesca, paseos en barco, natación, senderismo y observación de aves. Disfrute de un amplio espacio de estacionamiento gratuito para camiones de gran tamaño, caravanas y remolques. Nuestro hotel cuenta con un centro de negocios y con dos salas de reuniones. Disfrute de un tentempié o de un bollo dulce en nuestra tienda abierta las 24 horas. Ofrecemos servicio de lavandería para nuestros huéspedes de estancias prolongadas. Nuestro hotel goza de una excelente ubicación para asistir a los festivales anuales de globos aerostáticos Fest o a las regatas en el Lago Raccoon. También contamos con una suite nupcial con chimenea y con una piscina de hidromasaje para relajarse después de la celebración nupcial. Nuestro cordial personal le garantiza una agradable estancia en el Best Western Plus Centralia Hotel & Suites. My kids and I visited family in the area over spring break, so we stayed in a suite for comfort and extra space. It was very reasonably priced, tastefully decorated, and very clean. The staff were professional and friendly, breakfast was lovely, and the pool was a great cold season perk. Our entire family agreed that we'd stay here again in a heartbeat! I was part of a large family group staying for the weekend. I cannot believe how courteous the people at the front desk, let alone anyone working in the hotel, remained towards my ridiculously loud and sometimes downright rude family members. I cannot imagine that was an easy task. Thanks to everyone for a weekend none of us will forget anytime soon. Beautiful, new hotel in the area! Plenty of parking, great room sizes, surprisingly good breakfast buffet & kind staff. The over night attendant was the exception to this rating, she was pretty much ALWAYS outside in her truck smoking & playing on her phone. When we did find her outside & not at the front desk, she seemed annoyed that we needed something. Otherwise great experience at this hotel. Dear Valued Guest, Thank you for taking the time to give us your feedback on our brand new hotel. We strive to provide excellent service to our guests and make their stay as enjoyable as possible. I am very sorry to hear that you experienced less than perfect service during your stay with us. Best Western of Centralia, has excellent service. The staff are welcoming and friendly. The rooms are clean and in excellent condition. Nice Breakfast. Nice clean pool and fitness center. I would recommend this hotel to anyone. A hidden gem after a long trip through rural Illinois! This is a new hotel with large, clearn rooms, plenty of pillows, fridge and microwave, great common areas, huge breakfast and fun pool! Staff was very friendly and helpful. The rooms are excellent, everything worked. The bathroom was spotless. I would recommend this hotel for family outings. The kids enjoyed the breakfast and the swimming pool which in closed in. The front lobby was very cozy and you could either sit and watch tv or work at the work stations. The hotel was in excellent condition with a large lobby and breakfast area. The staff was extremely helpful and professional and went out of their way to meet our needs. 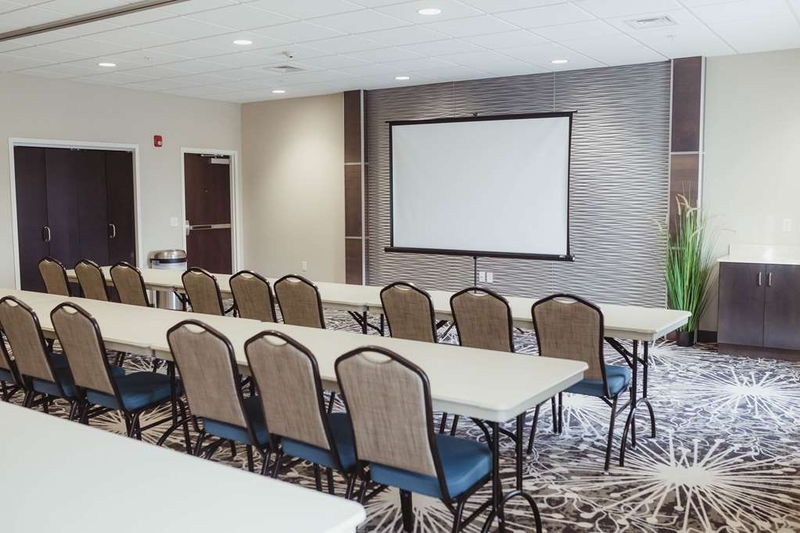 The room was spacious and comfortable with all of the expected amenities. We would definitely recommend to anyone visiting the area. Thank you for a wonderful recommendation! We hope to have to opportunity to provide you with the same level of excellence next time you are in the area. I have stayed at the Best Western Plus on three different trips to Centralia over the past 12 months for family get togethers. The hotel is well maintained and the staff are very friendly. 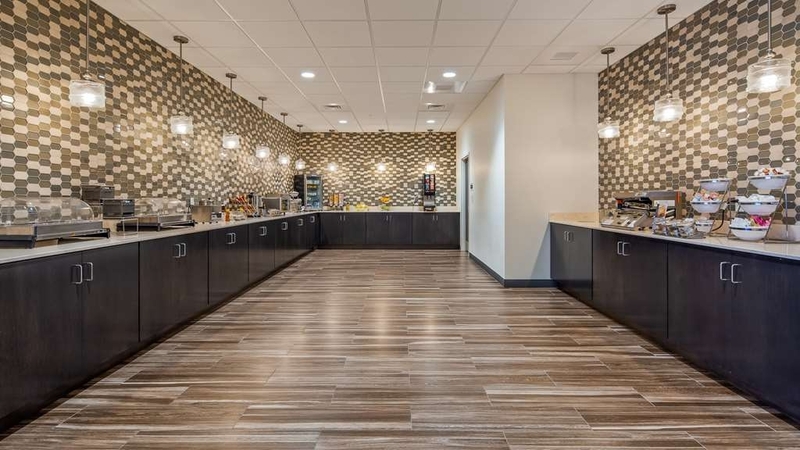 The breakfast bar is well stocked with a good assortment of food for all tastes and the common area is a pleasant space to visit and drink coffee. The indoor pool was very nice. The rooms are very spacious and well furnished for a comfortable stay. 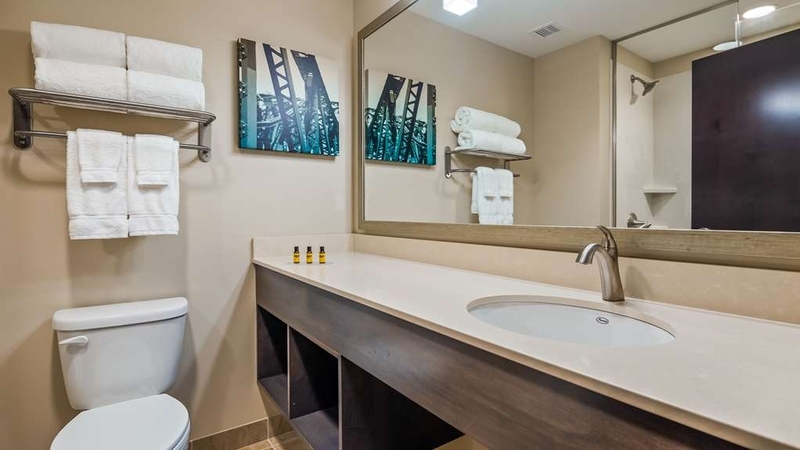 You cant go wrong choosing this hotel when you are traveling in the Centralia area. Go Orphans. "Best Hotel in 45+ years of Travel"
I've been traveling on business for 45+ years and have never stayed in a better Hotel! When you consider: Hotel Staff, Rooms, Facilities, Breakfast and the added touches, the Best Western, Centralia is THE BEST Hotel by far! I've stayed in the Best Western, Centralia, IL each week fir the past year and each & every visit is a tremendous and pleasant experience! It's like coming Home for Christmas! You are with Family each time you enter the Front Door! Their Excellence begins at the Top with the •Hotel Manager- ‘Amy!' She sets the pace and tone for the entire Team to follow... Customer focused care, kindness, professionalism and proficiency! •Front Desk Staff: Always greated with a smile and a warm welcome! You are Family when you walk in the door! Misty, Amber, Anna, Valerie and the entire Front Desk Staff are exceptional! •Cooks & Breakfast: Mitsy, Tina, Joanne and Beth are Wonderful People and Outstanding Cooks! My Mom & Dad would love to come to Breakfast at the Best Western, Centralia, IL! The food is always delicious, exceptionally prepared and pleasing to the eye! •Rooms and Housekeeping Staff: The Rooms are clean, spotless, warm and comfortable! The Housekeeping Staff does an exceptional job is keeping all the Rooms clean, wRm and comfortable • Facilities: The Pool and exercise room are a great way to relax and unwind after a long Day! If you are traveling cross country on US-64, I strongly recommend you stay at the Best Western, Centralia, IL! None better and I give them 5 ⭐️ in all phases of what a Business traveler or family is looking for! You won't be disappointed but happy to have stayed their!!! This Best Western is new and a wonderful place to stay. If you are going to or through Centralia this hotel is a great place to stay. The staff is very professional will help with information on area or any problem that may arise. Rooms are one of the largest we have had. The breakfast will definitely meet your needs with one of the largest variety of items. This was our first Christmas since our son with special needs moved into a residential facility nearby. We wanted to start a new Christmas tradition with him by staying at this hotel and celebrating with our son and family overnight. The staff went out of their way to make sure we had plant of space and supplies needed to make this a great beginning to our new tradition. The hotel is very nice and I would definitely come back here again. wonderful hotel. Staff very helpful, large clean room, very comfortable bed. Has a great breakfast and evening snack. Will stay here on future trips. 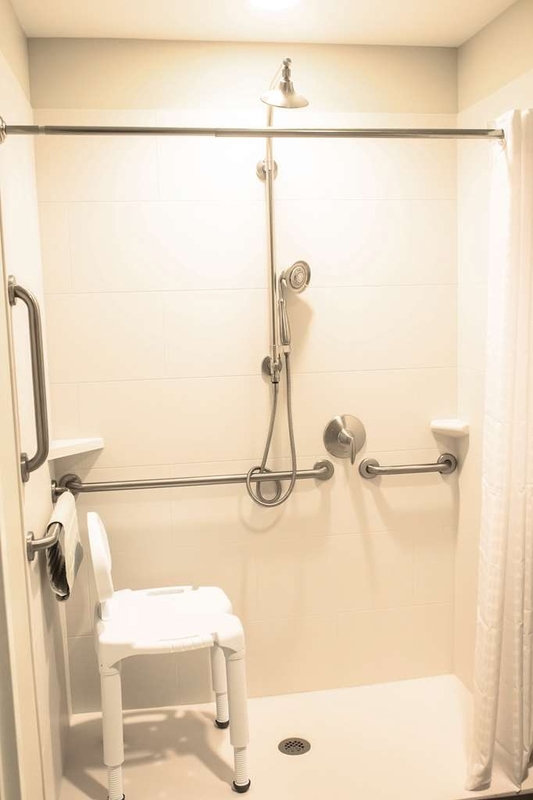 One of us uses a wheelchair and the handicap room was large with necessary excess to features. I am now a serious Best Western FAN! To say everything was good is an understatement. Great service and all the typical amenities. 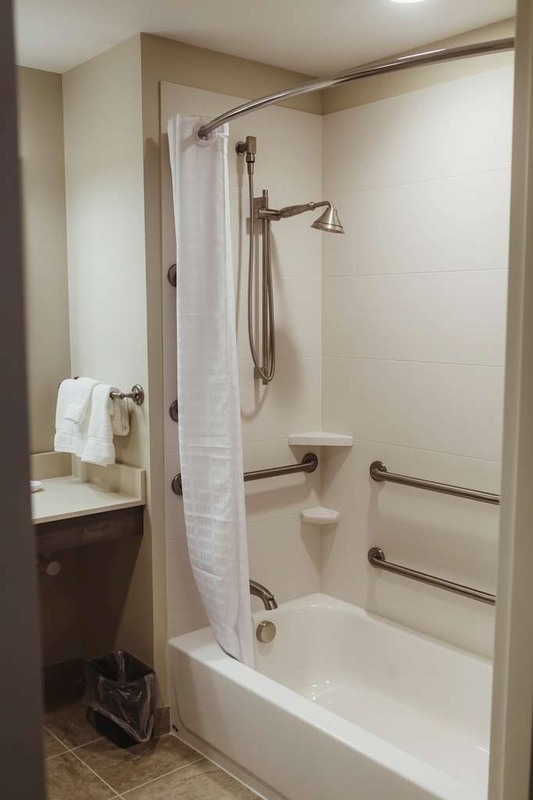 I loved the walk-in shower (glass doors with brushed chrome handles). "Very impressed with this hotel. The size of the rooms was exceptional." The staff was very helpful and accommodating to our needs. The breakfast buffet was very nice. There were several large areas for our group to gather the morning after the wedding, just to visit. We left a cell phone in the room and they contacted us to retrieve it before we left the hotel! there is a nice indoor pool, which we did not have time to take advantage of. "I came to town at the last minute for my job." This hotel was perfect! I came from Chicago via Amtrak. When I called the hotel, the manager at the time, Misty, could not have been more helpful! There is no cab service in this part of southern/central Illinois, but Misty put me in touch with South Central Transit and I was able to get to the hotel from the train station and set up all my travel needs around town for the next day as well. The rooms were impeccable and the complimentary breakfast was fabulous! 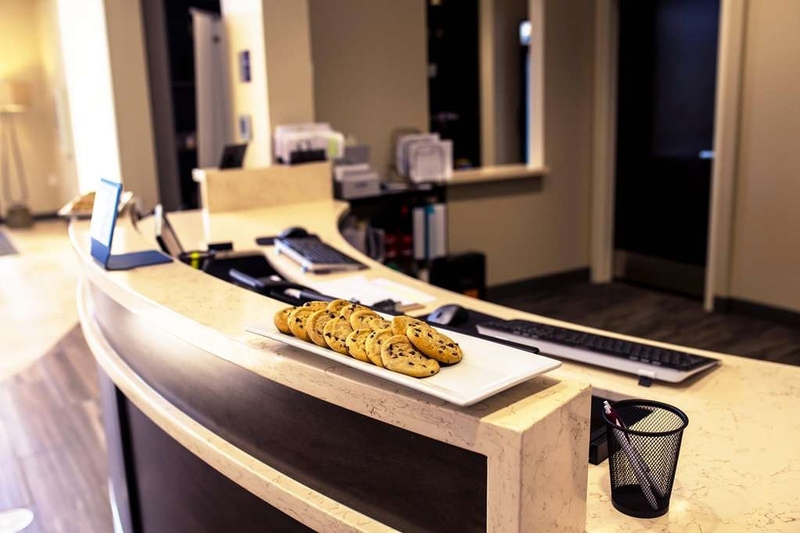 Cookies at the front desk were the icing on the cake! My family and additional family members came to town for a baby shower.Our weekend stay was very nice at this facility. Would recommend for future travels.I actually started a BestWestern Rewards program so that we can utilize this hotel for any future stays. Dear Valued Guest, Congratulations on your soon to be new family addition and for choosing to stay with us here at The Best Western Plus Centralia Hotel & Suites. I am very happy we were able to provide you with a place to gather wit friends and family for such a special occasion. Thank you for the recommendation. We look forward to welcoming you back the next time you are in the area. Please don't hesitate to give us a call if there is anything we can assist you with on any future reservations. "A Gem of a Hotel with aTremendous Staff!" I've traveled throughout the World and I can say with strong conviction the "Best Western Plus Centralia Hotel & Suites is in the Top 1% of ALL Hotels I've stayed in during the past 45 years! Extremely Polite, Professional & Proactive Hotel Staff led by their Manager-MISTY, do a fantastic job! They treat you as Family from the time you arrive to check in until check out! Clean Rooms, Great Pool & Gym; fantastic Breakfast..they are ;'THE Benchmark of Excellence' for other Hotels to strive towards! "Great hotel, full of Amenities"
Great hotel, very very clean. gets busy at times but this place is very laid back. There were a very few times that I felt extremely uncomfortable, one housekeeper accused me of having Cannabis in my room. and the last time i visited they gave me an extremely hard time to check in. Other then that, the place is wonderful just a few bad apples in their staff. Dear Valued Guest, Thank you for your review of our brand new hotel. I was very pleased to hear that you enjoyed our relaxing atmosphere and exceptional cleaning standards. I appreciate the feedback on areas of improvement for our staff and processes. We work diligently to improve our guest experience every day and your comments help us do so. We hope to welcome you back again soon. If you would like to discuss your experience further, please feel free to contact me at 618-918-2559. This hotel is a wonderful place to stay. Clean rooms. Great beds. Awesome pillows. Fairly decent breakfast. Great staff.Quiet. They have a pool. Workout room. I have stayed e times and always the same. ?? ?? ?? 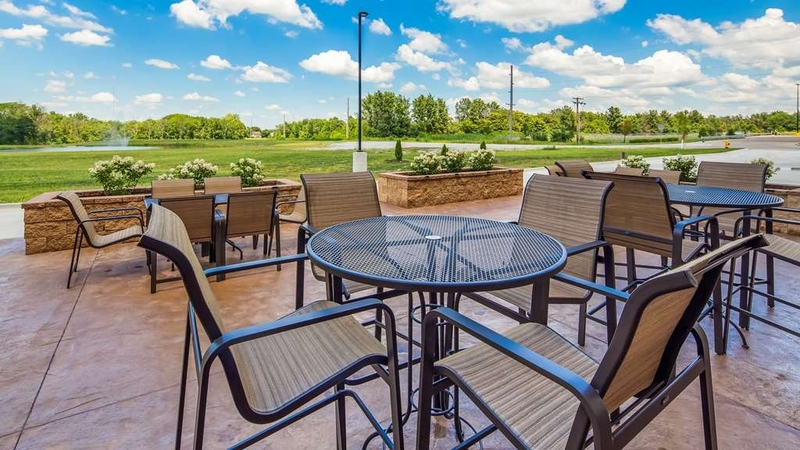 "Best Western Plus - Centralia, IL"
Newer property that offers everything you need for a comfortable stay. I appreciate the size of the king room and the large open area of the lobby. The breakfast was good with many options. I look forward to future stays. "Class Reunion and family visit"
I was really excited to stay in such a nice hotel in Centralia. It was a CHS class reunion but also was in town to handle family business. My sis in law and I decided to stay at BW. Got to see several former classmates and visit in a quiet nice place. It was so clean maybe because it was new but very nice and inviting. The bed was very comfortable the rooms are large with lots of extra room - refrig , micro wave, coffee- all you need but also complimentary breakfast - full hot breakfast in a nice large room. The people on staff even took my personal cup and filled with ice and water for me. The staff - both shifts were very kind, friendly, and helpful. The temperatures, were nice so we sat out on the outside patio until it got late then came inside to the couches to visit - it was great!!! I would definitely stay again. Misty was a great help at check in and check out - didn't get the night shift girls name but she too was awesome. The room we had was quite- heard nothing but ourselves ? ?Great prices- great place?? 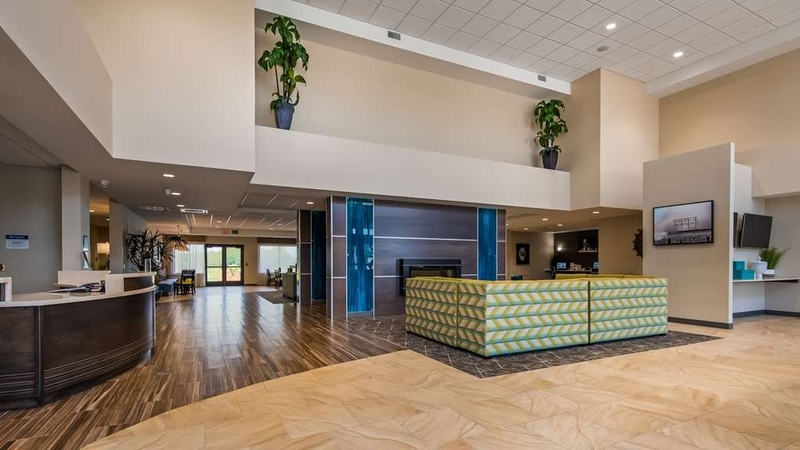 This is a new hotel and it is beautiful for the little town of Centralia IL. They needed a decent place to stay in town since the next closest place was 30 minutes away. The rooms are hugh with lots of space to move around and clean and the staff is friendly and helpful. 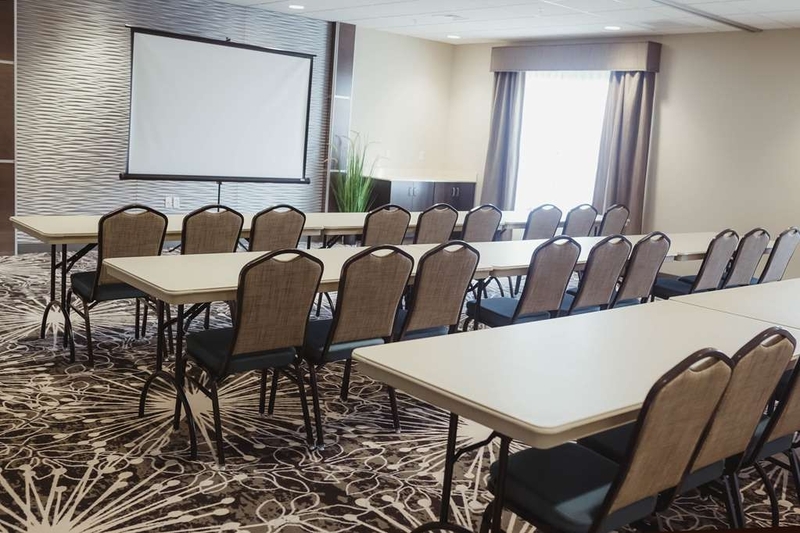 "In town for my son's wedding"
The room was pretty good size, clean, quiet and odor free. We enjoyed the pool and the relaxing patio out back. The breakfast was hot and fresh. The staff was friendly and professional. We will deffinently stay again. The absolutely BEST Best Western! The staff members were very helpful. 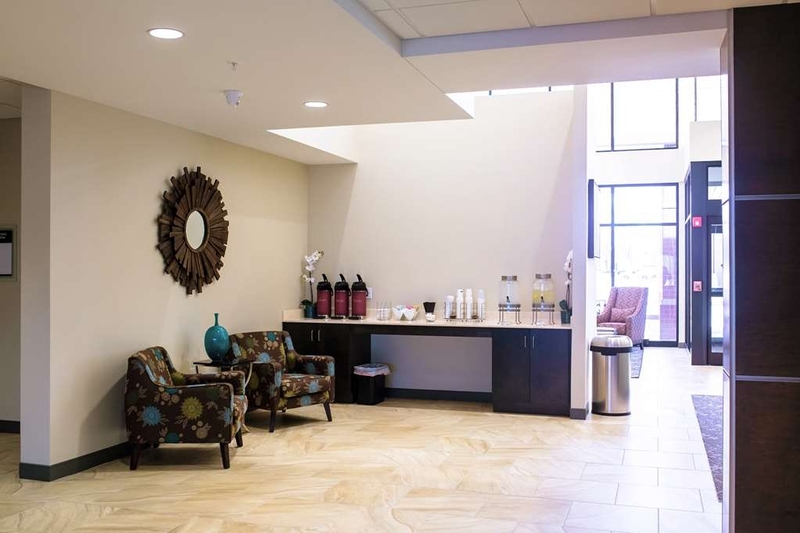 The lobby is beautiful and welcoming! The rooms were large, clean, and tastefully decorated. The bathroom was large and clean and I loved the large shower! The breakfast was great! Great place to stay. Clean and spacious rooms. Friendly and helpful staff. Wonderful breakfast with excellent food and the choice was magnificent. Really nice indoor heated pool, great fitness room. Cleaning service was excellent. Cannot say enough about this place. This is just what Centralia needed. I wouldn't say they invested a lot in mattresses or silly window ac units, but we will stay there again when in town. Super staff and pet friendly. Hotel is new so maintenance isn't an issue. "House without water was reason for visit"
Since my home had no water, what better time to check out the local new Best Western that had just opened. What a disappointment. The air conditioner said 73 and the room had to be at least 80 and when it did run it made funny noises. The bed was very firm so no sleep for me and back ache besides. Breakfast was varied but lacking in flavor and one lady I overheard said, oh DON'T get the biscuits and gravy. I didn't, but the omelette was not better. It was a disappointment since it was new. Dear Valued Guest, Thank you for taking the time to give us your feedback on our brand new hotel. We strive to provide excellent service to our guests and make their stay as enjoyable as possible. I apologize for any inconvenience you experienced during your stay. We stayed here in Centralia during a family trip to Carlyle Lake. The distance between the hotel and lake was convenient. It's right next door to a new Wal-Mart (bonus). The hotel is brand new and beautiful. Our room was really big and our beds were extremely comfortable. The amenities at this hotel were wonderful (free internet, breakfast, lots of plug-ins for media devices). We will definitely consider coming back. "great hotel in an unlikely place"
wasn't expecting much but was very surprised. It was great!!! The staff was helpful and very friendly. The food in the morning was fresh and very good. I will stay here again. they put us in the wedding suite and it totally spoiled us. "Good place to stay with great service"
Great service was the best part of this stay. The rooms are clean and the beds are comfortable. There were multiple pillow types on the bed so you had the type you need without having to call for Housekeeping. All staff memebers greeted us with a smile throughout our stay. I will definitely stay here again. I would highly recommend this well run, very clean, very comfortable hotel. I have been visiting family in Centralia for decades and the quality of accommodations had gotten so bad that we started staying in neighboring towns which was very inconvenient. We were so pleased to hear that Best Western was building a new hotel here and looked forward to booking a room the next time we visited. We were not disappointed! A very pleasant stay indeed. The staff was wonderful, the rooms were spacious and well appointed. The hot breakfast was worth getting up for then going back to bed and sleeping in because the beds were so comfortable. The price was surprisingly reasonable as well. No question about it, we will be back! Dear Valued Guest, It was our pleasure to be able to provide you with a clean welcoming room and a soft comfortable mattress. Thank you for choosing to stay with us here at The Best Western Plus Centralia Hotel & Suites while you were in Centralia. We hope to have to opportunity to provide you with the same level of excellence next time you are in the area. "Great addition to Centralia "
Can't say how thrilled this hotel was built! It's comfortable, clean and the staff is wonderful. We visit the area once a month and this hotel has made it very enjoyable! We are able to swim with our grandchildren in the pool area. We eat a very nice breakfast for free every morning. They have many choices so we are always happy. This is such a welcome addition to Centralia! Thanks Best Western! Dear Valued Guest, Thank you for taking the time to review our Hotel. I very happy to hear you enjoyed your stay with us here at The Best Western Plus Centralia Hotel & Suites. I am glad you were able to enjoy our indoor heated pool and our freshly baked cookies. Please don't hesitate to give us a call if there is anything we can assist you with on any future reservations. Stayed here for a family wedding. 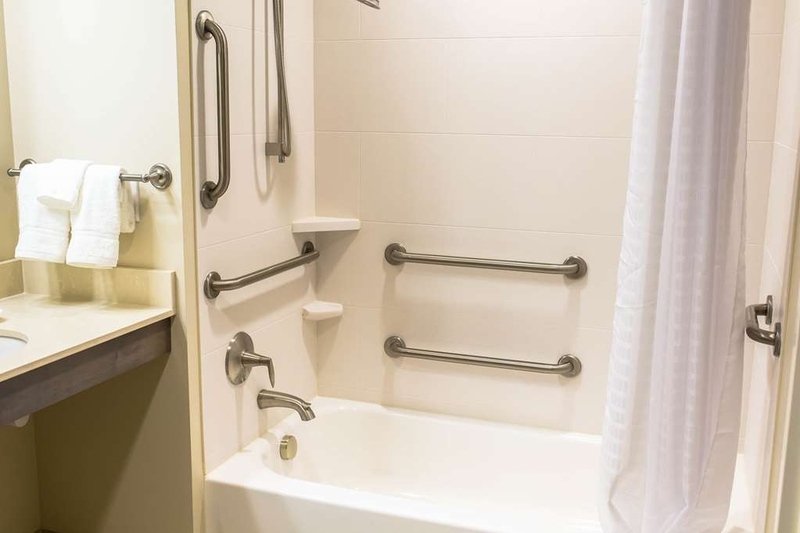 We booked a double Q suite - sleeps 6 and is a very spacious room with a lot of amenities (mini fridge, microwave, coffee/tea maker, cabinet), full closet-sliding doors, Q pull out sofa & easy chair, 2 flat screen TVs (although can only use one at a time). Full, hot breakfast - many options! Indoor pool - but no hot tub. The only other issue we ran into is that our phones (VZN) were constantly 'searching for service' - no calls/texts and phone would power down overnight because batteries would drain. New facility that is maintained by a very friendly staff. Breakfast buffet was extensive and hot. Walmart next door. Would definitely return. Easy to get to from the interstate. Keep up the good work staff! Dear Valued Guest, Thank you for your kind words! I will be sure to pass this on to our team. I am very happy to hear you enjoyed your stay with us and hope to welcome you back in the near future. Everyone was very helpful. The rooms were very clean as it is a brand new hotel. I needed a large table to work at during the evening hours. The front desk was very accommodating with this. They had fresh cookies and coffee at all times. The breakfast was really good as well. Beautiful new, very clean hotel. Staff was friendly and helpful. Bed was comfortable, couch was hard and uncomfortable. Shower was a pain, breakfast was okay but not wonderful, pool was warm, but pool room was chilly. Wifi didn't work for us. Thank you for taking the time to give us your feedback on our brand new property. We strive to provide excellent service to our guests and make their stay as enjoyable as possible. I am very sorry to hear that you experienced less than perfect service during your stay with us. and that our WIFI was giving such an issue. Please know that I will check in with our service provide to get any issues resolved. However I am very pleased to hear you enjoyed your overall stay and that our staff was able to help. We hope to welcome you back in the near future. This hotel is an oasis - great staff, awesome rooms and amenities, and well maintained. We really appreciate such a nice hotel in this small town. We'll stay here many more times as we return to visit family in the area. Thank you for your kind review. 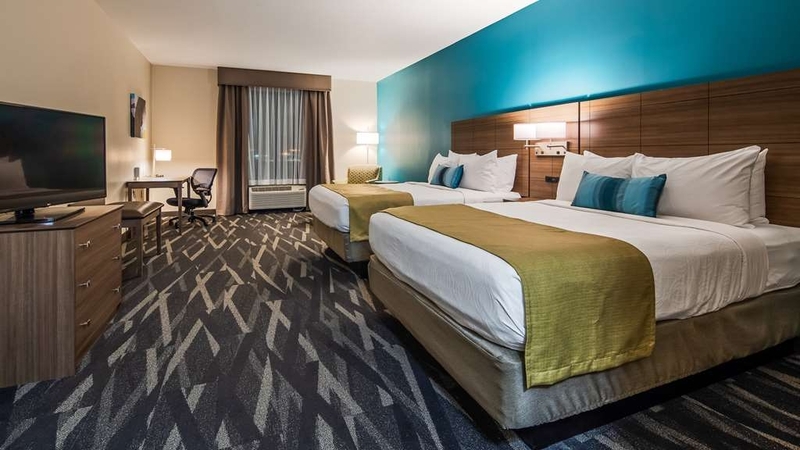 We love to hear positive feedback and are thrilled you enjoyed your stay with us, and were able to take advantage of just a few of our amenities. 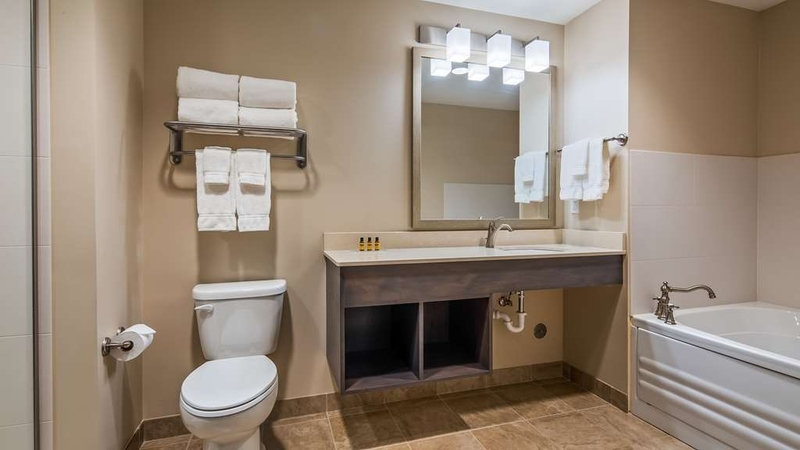 Here at The Best Western Plus Centralia Hotel & Suites we strive to provide an excellent guest experience. I will make sure that every member of our team will get to see your feedback. We look forward to welcoming you back in the future. "Clean & Comfortable; Nice Staff"
I'm told this is the nicest hotel in Centralia; it is new within the past few years. It was definitely clean, hospitable and the staff, room and bed were excellent. It was a little higher price than I anticipated, but not bad. There is a Mexican restaurant a short walk away and a McDonald's across the street. The Mexican restaurant was very good and reasonably priced. Breakfast at the hotel was hot with eggs, bacon, sausage, gravy, yogurt, etc. It was well prepared, the dining room was very clean and updated. Dear Valued Guest, Thank you for taking the time to review our property. I am very pleased to hear you enjoyed your stay with us and enjoyed the hot breakfast and the near by restaurants. Please give us a call if there is anything we can help you with. "Weekend getaway to visit friends." The only problem that we had was when we went to go relax and enjoy the pool area, we had to share it with a very noisy group of children. They rent out the swimming pool for kids parties. Other than this issue, we really enjoyed our stay at this hotel. 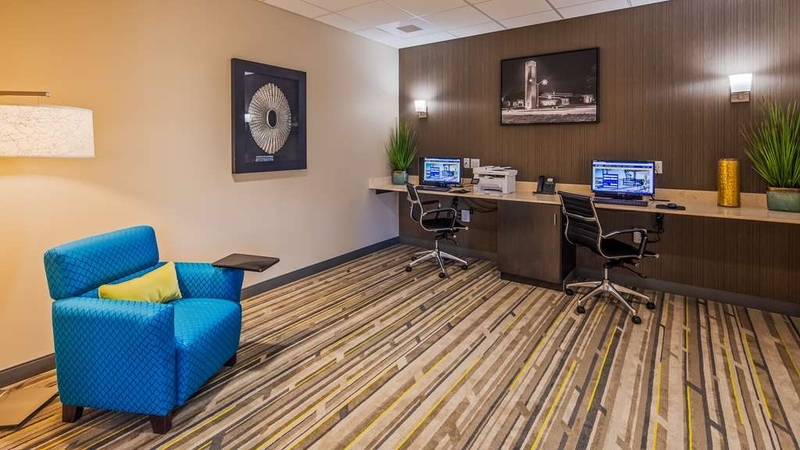 Thank you for visiting the brand new Best Western Plus Centralia Hotel & Suites. I am happy to hear that you enjoyed your stay. The pool parties have become very popular with our guests but can get loud when the kids are having fun. Please let us know if there is anything that we can do to help you with your next reservation at 618-918-2559. Thank you again for choosing Best Western Plus. "This hotel should show other hotels how it's done!" Worth the detour!! This is a hotel that's off the main highway about 15 minutes. It is well worth it. It is clean and the service it top rate. Take the time to drive a bit off the highway and you'll not be sorry. The rooms are truly wonderful, not small, nice extra's, great breakfast and so much more. You'll wonder when you're going through town, but then you'll see it's great once you get there. Clean, friendly staff, lots of space, modern and comfortable. Even the pillows are perfect. This hotel should show other hotels how it's done! Only suggestion to hotel is to get cable with a guide as a part of TV. 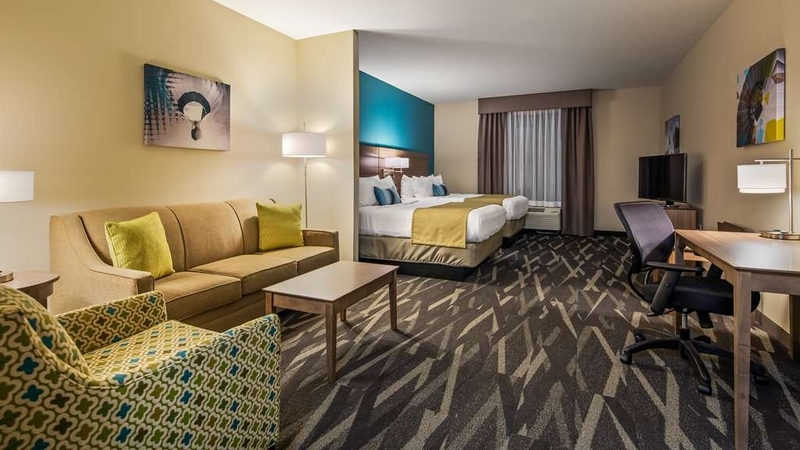 Thank you for the amazing review of the new Best Western Plus Centralia Hotel & Suites! 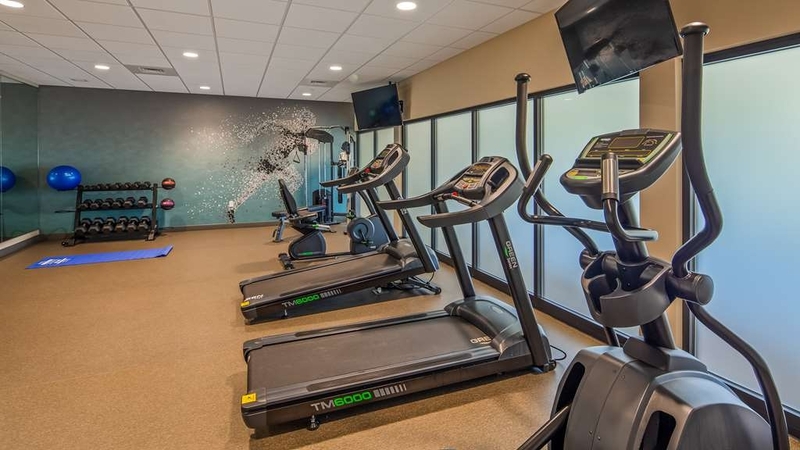 We take great pride in our large rooms, free hot breakfast, indoor pool and 24-hour fitness room. The TV guide is scheduled to be added to the Mediacom lineup in the future, so until then we must use the printed guide included in the room. We are happy that you made the extra effort to come and stay with us. Please let us know if you need any assistance with your next reservation with us by calling 618-918-2559. Thank you again for choosing Best Western Plus. 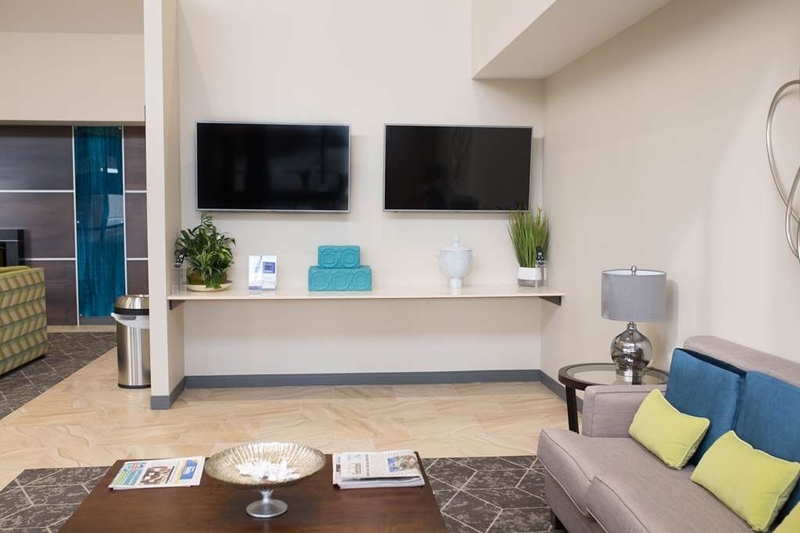 This newly opened hotel was sorely needed in this rural Southern Illinois community. Being new (opened Dec 2017), the room was clean and fresh. The hotel staff was extremely accommodating and helpful; they knew us by sight after first day. Complimentary breakfast was typical for this type of hotel. Lobby and dining area better than most. Within walking distance of Walmart and several restaurants. Will definitely stay here again. Thank you for choosing to stay with us here at The Best Western Plus Centralia Hotel & Suites. I am very pleased to hear that you enjoyed your stay with us. I will be sure to share your kind words to our staff. We hope to see you in warmer weather. Please let us know if there is anything e can do for any future stays. Very clean,beautiful hotel, loved everything about it. pool was warm & inviting, the breakfast was amazing, oh the choices!!! Recommend staying here & enjoying, I believe you'll feel quite refreshed the next day!!!! Thank you for the wonderful review! 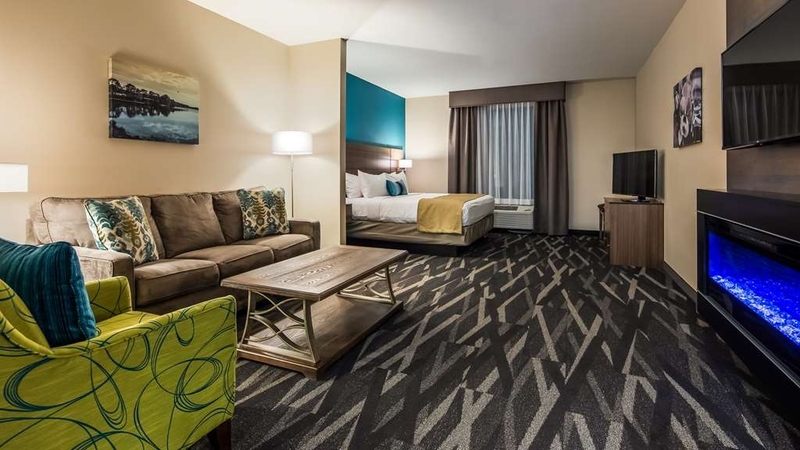 I am excited to hear that you enjoyed your stay at the new Best Western Plus Centralia Hotel & Suites. 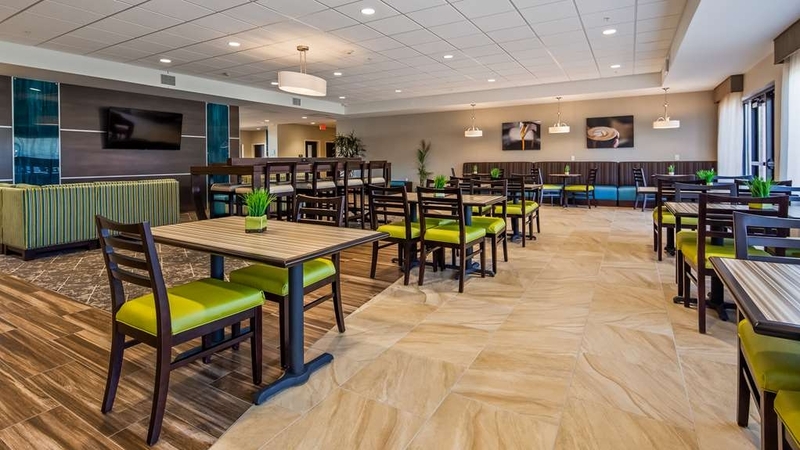 We take pride in new construction design, heated indoor pool and all of our free breakfast offerings. We look forward to seeing you on your next stay with us! This Best Western is unquestionably the best at which we have stayed. Not only does the hotel look more like a high scale Hilton but it has full-size pillows and large towels! The breakfast has more than most. The rooms are very large and well put together. The television was larger than most. Finally, the staff is beyond compare! If you are traveling to or from St Louis on 64 is it worth the trip up to stay at this hotel. Or if you just want a relaxing vacation at a hotel will all the trimmings but don't want to pay the price this is that place. Staying in St. Louis, I would stay here! No I don't work for this hotel, I just think whoever put this hotel together has set the standard! This is a brand new location. 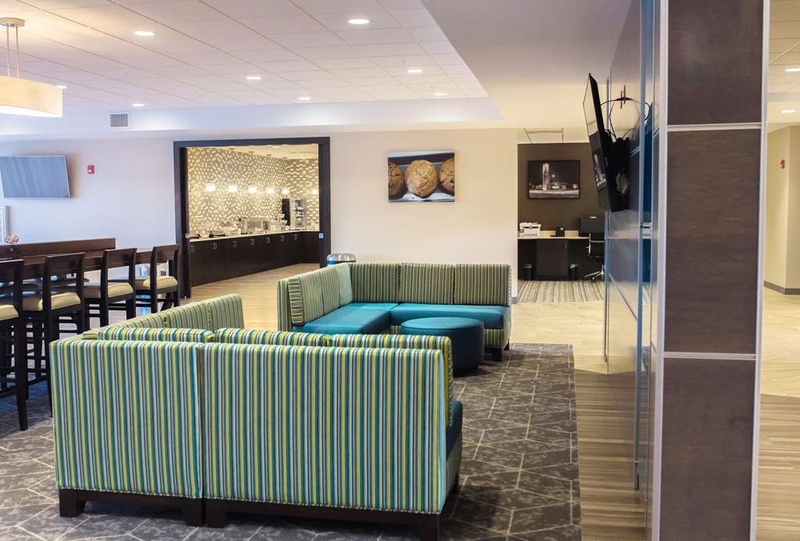 I was impressed to the point of looking for Best Western Plus in other towns I travel for business. Granted it is brand new but the staff was very friendly and helpful. We will be back. 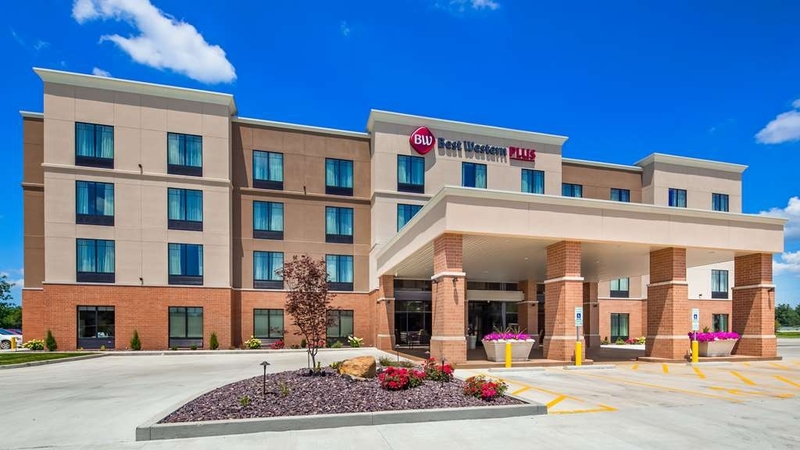 Thank you for visiting the brand new Best Western Plus Hotel & Suites in Centralia, IL. We are happy to hear that you had a good stay and thank you for your kind comments. We look forward to serving you well again in the future!